Choosing commercial catering equipment is a task that must be done with thoughtful consideration, as this is an investment that can make the difference between running a successful catering business versus one that is struggling. It is important that you know exactly what specifications you require before you go shopping. What available space do you have? – Whether you are purchasing a larger item such as a combi steamer or a refrigeration unit, or a smaller item that will sit on your bench, you will need to know that the dimensions of the commercial kitchen equipment you intend to purchase will fit into the space designated, especially if it is to go under an existing exhaust canopy. What specific functions do you require? Don’t allow yourself to be talked into buying catering equipment that can perform all sorts of amazing tasks if it is not going to accomplish what your business needs. Along this line also consider the correct level of output you require. A light duty item will not be able to withstand heavy use, but why pay extra for a heavy-duty item if you are only requiring light commercial use? Is the equipment complicated to use? – Purchasing commercial cooking equipment that is easy to use and safe to operate will enable your catering business to perform in a smooth efficient manner. It should also be easy to clean and maintain which is vital for food safety. Is the refrigeration you intend to purchase suitable? – Refrigeration is a very important purchase. Is it rated at + 38°C ambient? Does it have sufficient capacity? 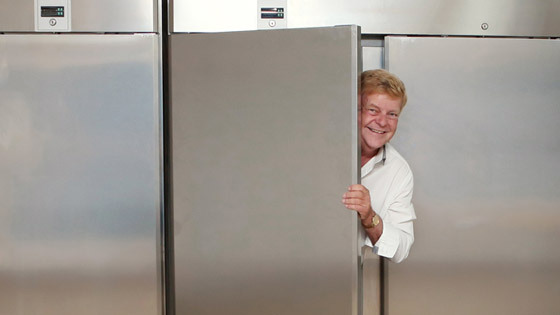 All very important for if a refrigerator or freezer goes down, it can cost you lots, not just in service fee’s but also loss of stock and downtime. What warranty is offered? – If you are going to invest in catering equipment, choose something with a good warranty to guarantee you are not wasting your money if the equipment encounters any malfunctions or breakdowns. Does the warranty guarantee parts and labour? Are spare parts easily obtained if necessary? How much will it cost to run? – The initial cost is not the only expense involved. Look for items with an Energy Star Rating which will be energy efficient as the running cost will save you money in the long term and thus be more affordable. We have over 2000 products in our Catering Equipment range, including commercial dishwashers and refrigerators, and can offer you a choice of equipment tailored to your menu and performance criteria. Our team is committed to maintaining excellence in personal service and quality guaranteed product supply. Click here to contact us, or phone ACE today on (07) 32795204 / mobile: 0414 887 298.